Looking for a place with the best of both worlds,Old Florida feel but not necessarily the Old Florida house? Look no further because you have found that place. 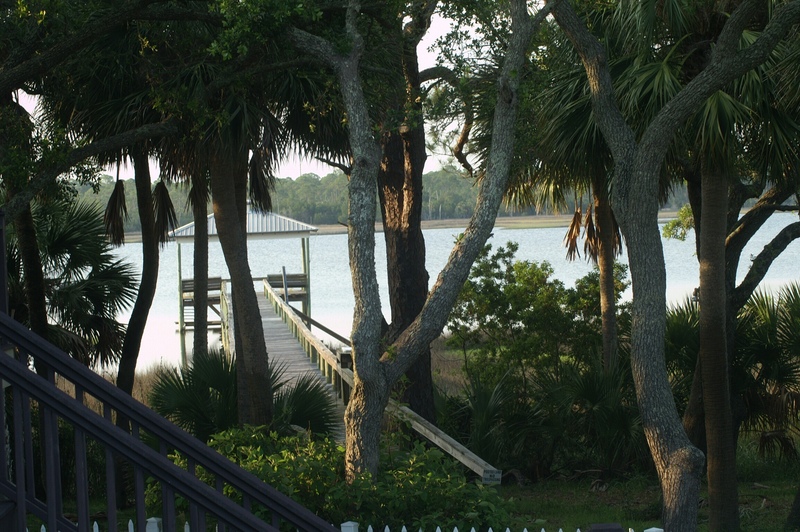 A small section on Indian Pass, Camp Palms is where the original settlers of Indian Pass built their homes upon a ridge that allows both Gulf and Lagoon views. This great 2 bedroom 2 bath house sits all one level with a large screen porch overlooking the unique Indian Pass Lagoon. Try your luck fishing and cleaning your catch from the private dock. Better yet launch your kayaks or paddle boards from the dock step down and go explore the Lagoon. When you're ready to go to the beach just take a short walk down the driveway and over Indian Pass Rd to your private access to the beach for pedestrians and permitted vehicles alike. There you'll experience wide open beaches with plenty of space to spread out and enjoy the Gulf. No matter your pleasure you'll be able to relax comfortably at Camp Palms @ Indian Pass. Floor Plan: Ground Floor - Outside - open parking area, outdoor shower, lagoon dock with fish cleaning station, covered seating, and kayak/paddle board launch. Inside - Great-room with living area, TV, DVD, sleeper sofa, kitchen, eat-in bar, dining, and access to the screen porch. Screen Porch - dining, seating, fans, lagoon view; Bedroom 1 - queen bed, TV, private full bath with tub/shower Jacuzzi; Bedroom 2 - queen bed, TV; Bath 2 - full bath with walk-in shower (handicap friendly). *Please note the cottage beachside of this property may be occupied by owners during your stay. We loved staying at Camp Palms on Indian Pass! The Bay side is serene and beautiful. The cottage is very well designed and comfortable. We enjoyed checking the crab traps as well as watching the Red Fish and Mullet in the lagoon. We did not fish, but if we had, know we would have had a nice catch. There is also a private road to the Gulf with golf cart access and your own beach front. We look forward to coming back again and again. We have been visiting Indian Pass for 16 years. This is the first time we have stayed on the bay side and we loved it! It was nice to have the quiet and privacy of the bay and the trip to the beach was easy. We are both in our late 60s so it was wonderful to have everything on one floor and not have to climb the flight of steps to get in groceries. The house is beautiful and love the lay out. In fact let us know if you ever think about selling! Hope to be able to rent it next year!